Netflix is scheduled to report earnings after the closing bell Monday. The streaming giant is expected to post modest growth at home in the US, and even more from abroad. 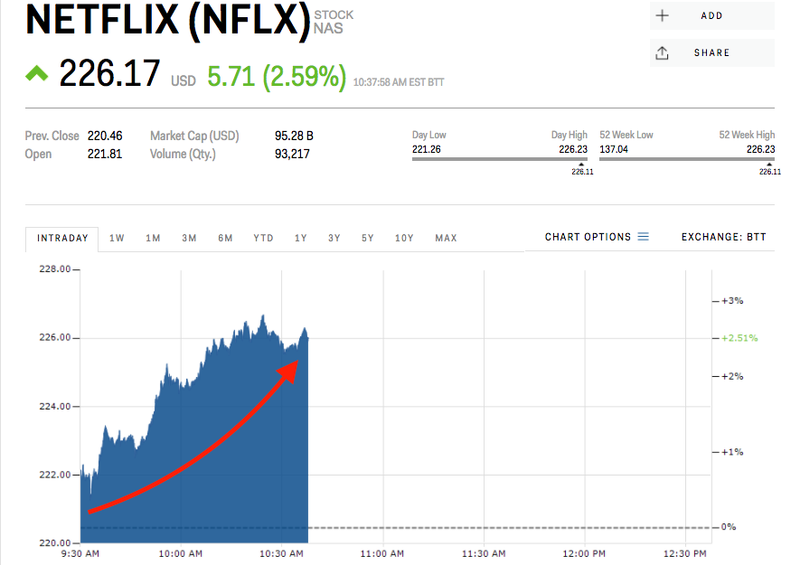 Shares of Netflix rose 2.6% Monday morning ahead of its scheduled fourth quarter earnings report after the closing bell, signaling investor confidence in the streaming giant. Wall Street analysts polled by Bloomberg expect Netflix to report earnings of $0.504 per share on revenue of $3.277 billion.